I saw these adorable toothpicks at Paper-Source and knew I could think of a few ways to use them! 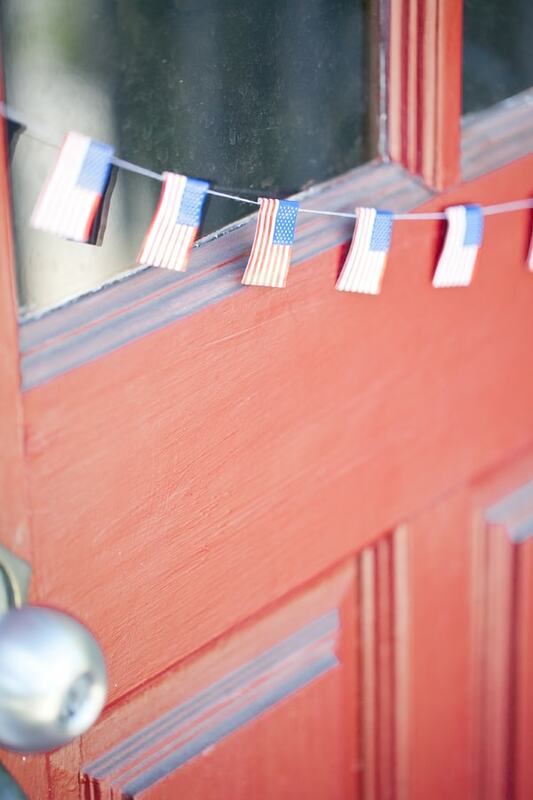 I thought it would be cute to make a dainty garland to hang on the front door or above the food station at your 4th of July party. Also, these would be very charming in hamburger buns or cupcakes. 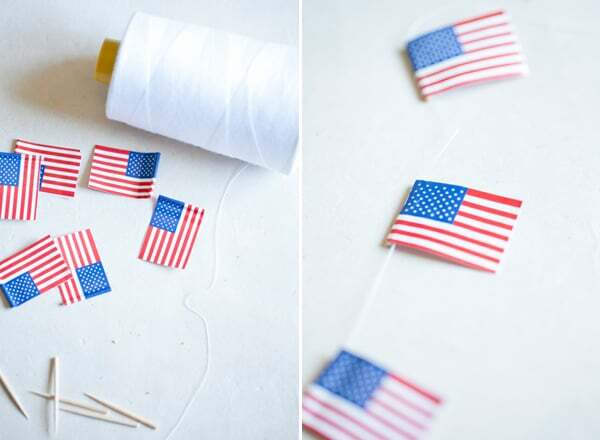 Such a quick, easy and festive way to spruce up your 4th of July entertaining. Over here at the Passante pad, we like easy these days!! 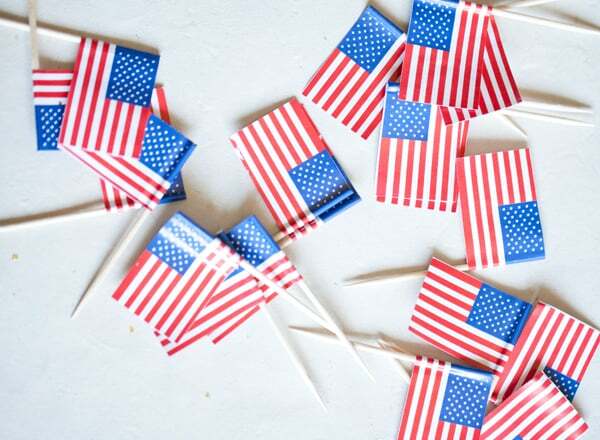 Oh and these little flags are only $3.00 for 100… what a deal : ) Happy 4th! Just cut the toothpicks off of the bottom of the flags and then used a hot glue gun to glue the flags onto a piece of white string. So easy and it looks so darn cute!